A progressive multi-point locking system allows for a weather-tight seal by drawing the sash firmly and securely to the master frame. 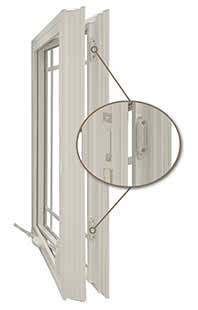 The multi-point locking system also offers added security by providing additional points of reinforcement on the window. 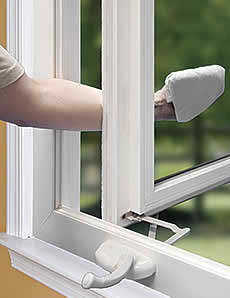 The casement opens a full 90 degrees for maximum ventilation and easy cleaning from inside the home. Folding style crank handles, standard on all casement windows, minimize interference with blinds and other window treatments. Euro-White, Almond, Cocoa, Bronze frame. All colors except Euro-White are available at an additional charge. Colors on your monitor may not match the product’s actual color. Printed colors may not match the product’s actual color. Please visit a local dealer to view actual color samples. 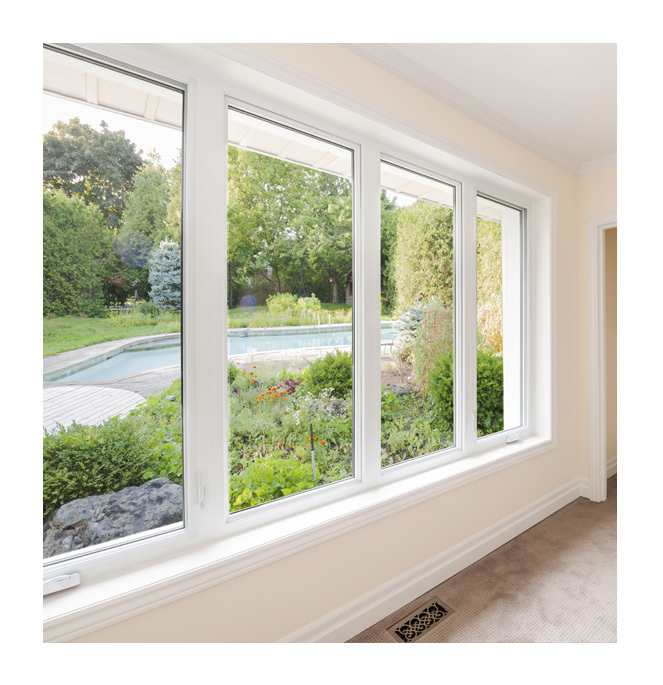 Water Penetration mph – Specifies wind load pressure in mph window can withstand without leaking, under rain equivalent to 8″ per hour. Structural Integrity mph – Wind load in mph the window can withstand before breaking. Our company offers ThruVision® Screen standard on the 700 Series to improve the view through the window while protecting the interior from insects and allowing proper ventilation.